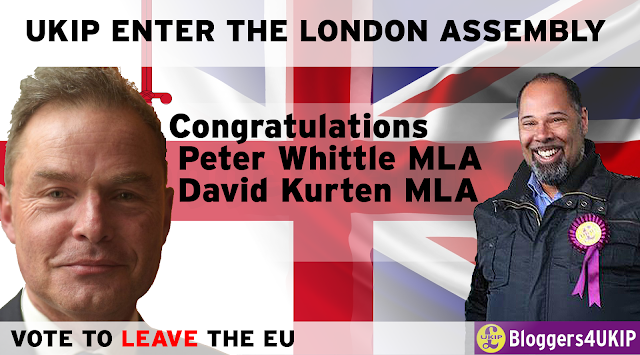 UKIP's Peter Whittle and David Kurten have been elected to the London Assembly. Peter Whittle came fifth on first preference votes in the London mayoral election with over 94k votes. Second preference votes are only counted for the two candidates with the most first preference. UKIP support has historically been quite low in London which makes these results all the more impressive.